often look like work parties, because they are. We go through the agenda, and then we often work in the library space (which continues to be donated by Ecotrust). 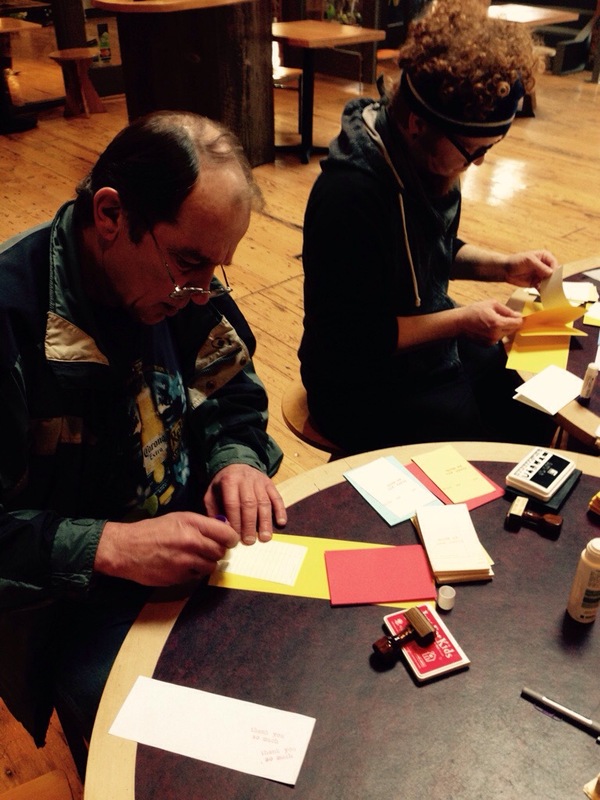 Today Beth Chapman, Redd Moon and Ben Hodgson worked together to make thank-you cards for all our donors and supporters.